Are you willing to reduce the blood sugar? The answer of this question is on your kitchen’s self. The medicines which are in the home are our friends but by changing our diet you can get success to reduce the level of diabetes. Expert says that “Diabetes is the disease of mellitus metabolism which relates to heart disease, retinopathy, nephropathy, neuropathy, sexual dysfunction and periodontal disease. One can get success by decreasing Glaisamic control. 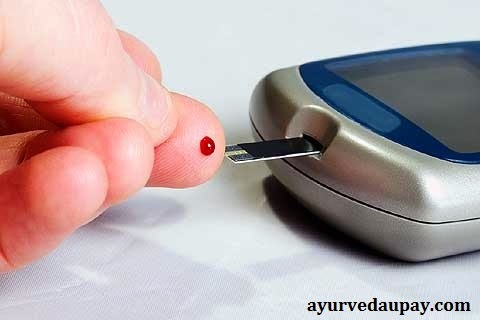 Many Indian remedies and home remedies help to control the blood sugar. We do not have neglect the traditional food which is very important. Max Healthcare says we can control diabetes by taking turmeric and fenugreek. This natural food reduces the level of blood sugar by 5-7%. You should take this in proper way. Let us know about such food which helps you to control the level of blood sugar. You can use almond and walnut as snacks to improve your health. These dry fruits known for its strength of reducing the diabetes. It has high level of fiber and protein so it helps us to reduce the level of blood sugar. They do not have Trans fat. Scientific demonstration: Those who take ¼ of dry fruits they have 5% less metabolic syndrome. This syndrome is of type-2 diabetes. Almond reduces the level of blood sugar. American College of Nutrition’s study says that almonds give immediate result when insulin increases in the body. It means your body does not require more insulin. Diabetes does not increase. Researchers say: These dry fruits have good source of chromium. Chromium relates to disturbance in glucose tolerance, hyper glyaisimia and sensitivity of insulin. Chromium helps to change the level of blood sugar that has more diabetes. However you should avoid taking it too much. Method of in taking: Take one cup of almond which is fresh or deep in water for a night. You have to take it in your different dishes. Carilla is very popular in Indian continent. It is very popular because it is very helpful to diabetes patient. Scientific demonstration: Carilla helps to control the level of blood sugar. It plays vital part in formation of insulin. It seeds has insulin peptides which works same as Pancreatic Glades in human. Researchers say that Carilla has 3 elements which are Carantinn, Visain and Polipaptaid-p. It is helpful to increase the insulin and reduce the power of glucose in the blood. Method of in taking: Do not deep fry the bitter gourd as its nutritional value reduced. To get its anti diabetic value you should fry it lightly. You can take bitter gourd as chips. However juice of bitter gourd is also good for you but you should not drink it too much. It affects too much. Plum is very popular fruit of India and it is used to control the level of blood glucose. It has many properties that deliver health benefits. Scientific demonstration: Indian Journal of pharmacology and studies conducted by Bhabha Atomic Research Centre stated that plum is very helpful in diabetes. Plum seeds have jambolin glucose which controls the starch in glucose. This process is the main reason behind the high level of glucose. Researchers say that you should not underrate the qualities of plum. Its main elements help to control the diabetes. Jambolin has anti diabetic qualities. However the sweet fruits are not good for diabetic patient but plum is exception of them. Because it has less carbohydrates and more fiber. Method of in taking: Plum can be taken fresh or in power form. You should avoid it taking too much.